Comments On The Cato Report “ADDENDUM: Global Climate Change Impacts In The United States” By Michaels Et Al 2012 | Climate Science: Roger Pielke Sr. This web page will introduce and lead you through the content of the most comprehensive and authoritative report of its kind. The report summarizes the science and the impacts of climate change on the United States, now and in the future. In addition to discussing the impacts of climate change in the U.S., the report also highlights the choices we face in response to human-induced climate change. It is clear that impacts in the United States are already occurring and are projected to increase in the future, particularly if the concentration of heat-trapping greenhouse gases in the atmosphere continues to rise. So, choices about how we manage greenhouse gas emissions will have far-reaching consequences for climate change impacts. Similarly, there are choices to be made about adaptation strategies that can help to reduce or avoid some of the undesirable impacts of climate change. This report provides many of the scientific underpinnings for effective decisions to be made – at the national and at the regional level. with Patrick J. Michaels as Editor-in-Chief. I have been fortunate to know and respect Pat since we meet at the University of Virginia during my tenure there in the 1970s and early 1980s. This Cato report is a very important new addition to providing policymakers with a more robust perspective of climate science. It is refreshing to see a much more objective assessment than prepared by Tom Karl and others in the federal government. This effort grew out of the recognition that the original document was sorely lacking in relevant scientific detail. A Cato review of a draft noted that it was among the worst summary documents on climate change ever written, and that literally every paragraph was missing critical information from the refereed scientific literature. While that review was extensive, the restricted timeframe for commentary necessarily limited any effort. The following document completes that effort. This report summarizes the science that is missing from Global Climate Change Impacts in the United States, a 2009 document produced by the U.S. Global Change Research Program (USGCRP) that was critical to the Environmental Protection Agency’s December, 2009 “finding of endangerment” from increasing atmospheric carbon dioxide and other greenhouse gases. According to the 2007 Supreme Court decision, Massachusetts v. EPA, the EPA must regulate carbon dioxide under the 1990 Clean Air Act Amendments subsequent to finding that it endangers human health and welfare. Presumably this means that the Agency must then regulate carbon dioxide to the point at which it longer causes “endangerment”. Climate change assessments such as the one produced by the USGCRP suffer from a systematic bias due to the fact that the experts involved in making the assessment have economic incentives to paint climate change as a dire problem requiring their services, and the services of their university, federal laboratory, or agency. 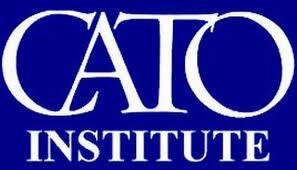 I have just a few comments and recommendations for the final Cato report. Pielke Sr., R., K. Beven, G. Brasseur, J. Calvert, M. Chahine, R. Dickerson, D. Entekhabi, E. Foufoula-Georgiou, H. Gupta, V. Gupta, W. Krajewski, E. Philip Krider, W. K.M. Lau, J. McDonnell, W. Rossow, J. Schaake, J. Smith, S. Sorooshian, and E. Wood, 2009: Climate change: The need to consider human forcings besides greenhouse gases. Eos, Vol. 90, No. 45, 10 November 2009, 413. Copyright (2009) American Geophysical Union. Pielke Sr., Roger A., 2008: A Broader View of the Role of Humans in the Climate System is Required In the Assessment of Costs and Benefits of Effective Climate Policy. Written Testimony for the Subcommittee on Energy and Air Quality of the Committee on Energy and Commerce Hearing “Climate Change: Costs of Inaction” – Honorable Rick Boucher, Chairman. June 26, 2008, Washington, DC., 52 pp. Pielke Sr., R.A., and R.L. Wilby, 2012: Regional climate downscaling – what’s the point? Eos Forum, 93, No. 5, 52-53, doi:10.1029/2012EO050008. Fall, S., A. Watts, J. Nielsen-Gammon, E. Jones, D. Niyogi, J. Christy, and R.A. Pielke Sr., 2011: Analysis of the impacts of station exposure on the U.S. Historical Climatology Network temperatures and temperature trends. J. Geophys. Res., 116, D14120, doi:10.1029/2010JD015146.Copyright (2011) American Geophysical Union. McNider, R.T., G.J. Steeneveld, B. Holtslag, R. Pielke Sr, S. Mackaro, A. Pour Biazar, J.T. Walters, U.S. Nair, and J.R. Christy, 2012: Response and sensitivity of the nocturnal boundary layer over land to added longwave radiative forcing. J. Geophys. Res., doi:10.1029/2012JD017578, in press. Pielke Sr., Roger A., 2005: Public Comment on CCSP Report “Temperature Trends in the Lower Atmosphere: Steps for Understanding and Reconciling Differences“. 88 pp including appendices.